Movement Advancement Project, Family Equality Council, Center for American Progress. January 2012. 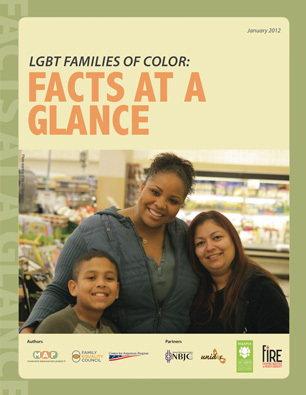 LGBT Families of Color: Facts at a Glance. http://www.lgbtmap.org/lgbt-families-of-color-facts-at-a-glance (date of access).